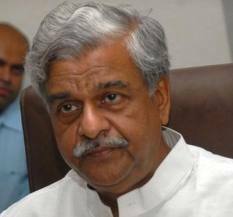 Its Not SUPERMAN RETURNS, Its now Jaiswal Returns in UP politics after his controversial comments about imposition of President's rule in Uttar Pradesh, Union minister Sriprakash Jaiswal on Saturday created a flutter again when he said Rahul Gandhi could become prime minister "even at midnight if he so desires". "Rahul Gandhi can become prime minister at 12 tonight, he can administer the oath of office and no one can stop that. But neither does he want to become the prime minister nor the chief minister," he said, addressing a public rally at Mathura. Jaiswal, who has expressed readiness to become the chief minister if the high command so wanted, also assured people of the area that he would give them the "the best ministry Mathura ever had" if they ensured the win of the party candidate. Jaiswal had triggered a controversy a couple of days ago with his remark that whoever becomes the Congress chief minister in UP, Rahul would be the remote control. Only on Friday, the Election Commission had held prima facie that his comment on imposition of President's Rule in Uttar Pradesh was a threat to voters and violated the model code of conduct. The poll panel had slapped a showcause notice on Jaiswal. We hope Jaiswal know the requirement for being CM of Uttar Pradesh (UP) is Majority in Assembly Election and specially in UP, Congress have a long journey ahead.